There are 26 artists with the name Paradox listed here: 1. A german thrash / speed metal band from W?rzburg. It was founded by Charly Steinhauer (rhythm guitar, vocals) and Axel Blaha (drums) in 1986. The next year the band signed at Roadrunner Records, released 2 albums in the 80's and than disbanded. Charly Steinhauer reformed the band in 1999 with the new line up and since then they recorded two more albums. 1. A german thrash / speed metal band from W?rzburg. It was founded by Charly Steinhauer (rhythm guitar, vocals) and Axel Blaha (drums) in 1986. The next year the band signed at Roadrunner Records, released 2 albums in the 80's and than disbanded. Paradox are pretty representative of mid-80's German sound, more melodic than the extreme thrashers (Kreator , Destruction), but not as much as Helloween or Running Wild. Comparable to early Rage. 2. irish grunge band Paradox. An alternative rock grunge outfit from Cork Ireland. The Irish Paradox were formed in 1996 by brothers pete mac and Mike Mac. Their sound is reminiscent of the early 90's grunge seattle sound . The band have toured both the US and Europe and have officially 3 albums released to date. Singer Songwriter Pete Mac also recorded and released a solo album in 2009. 3. An English alternative rock band, based in the South. Not yet signed the band gig as often as possible in venues such as the Pressure Point and Belushi's Bar in Brighton, The Bridge House in Copsale and The Drill Hall in Horsham. They are a huge favourite of the locals, and have been together for 7 years (the ages of band members range from 19 to 21.) They have two albums under their belt and have now changed their name to Zevicon and are releasing a new album this February (2007) It will be a double disk; one their regular rock beats and the second an ambient chillout selection of songs. 4. A thai rock band. They very famous in Thailand. They also contribute of Suckseed OST. 5. UK drum and bass artist Dev Pandya, who also produces under the name Alaska. Dev Pandya is a producer from the UK who has in recent years championed a new sub-genre of drum & bass known as drumfunk, which focuses on either finding obscure breakbeats or re-sampling much used drum & bass breakbeats from their original source and transforming them into a drum & bass tempo. Paradox is most certainly a breakbeat pioneer with a production career that has spanned well into it's second decade. Having first released back in 1990, he's since released over 100 singles on every leading drum'n'bass label including Reinforced, Good Looking, and Metalheadz, in addition to his own imprints such as Paradox Music, Arctic, Esotic, and Outsider. In the last couple years his collaborations with good mate Seba, and vocalist Robert Manos have solidified this man's reputation as not only a talented breaks master, but a gifted songwriter with mass-appeal as well. Paradox is currently involved in two collaborations with artists outside of drum and bass with The artists Herbie Hancock (who has heavily influenced much of his early work) and Carlos Santana. 6. A german underground hiphop artist, which released his Album "Gefuehlsparasit" in 2005. 7. An early Israeli electro duo active in the late '80s and including Lior Perlmutter, later of Astral Projection fame. 8. A faroese Pop Punk band, who put their first record out in 2005. It?s called Falling In Love. The members are called Heine, B?gvi and Andreas. 9. A (now dead) American Alternative Rock/Grunge band, from Pensacola, Florida. Fronted by the talented Jon Deale. 10. A punk band from Slovakia. They became famous after changing their name to Z&oacute;na A. 12. An underground hip-hop artist from texas, He is on the Voicebox Records Label. 14. Christian unreleased heavy metal band from San Antonio, TX from the late 80's and early 90's with demos called Ruler (1988) and Power and Glory (1989). Their full length The Wrath was never completed. 15. A jazz fusion trio consisting of Billy Cobham (drums), Wolfgang Schmid (bass) and Bill Bickford (guitars). 17. Paradox was a polish jazz band in the 70s, releasing records on POLSKIE NAGRANIA. 18. ParadoX - band from Andrych?w, Poland. 19. Paradox - Hip-hop duo from Ladbroke Grove, West London. 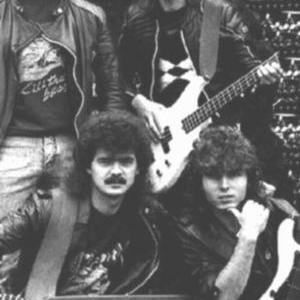 Signed to Ronin Records in 1990, they had a huge underground dance hit 'Jailbreak'. With no radio play, it only got to 66 in the UK charts. 20. Paradox - Unsigned band from Brisbane, Australia. Created an 11 track demo called "The Mirror" in 1992, but split up soon after. 21. ParAdoX - MC & Singer from Utrecht, the Netherlands in the band Illicit and also part of the crew '207'. 22. Paradox is a small band from Inverkeithing High School in Scotland who have an unoriginal name and 4 members, Kemp, singer, Neil and Mike, something invovling a guitar or bass guitar, and Peej, drums. 23. A German punk rock band. 24. Paradox, circa 2008 electronica band on Van Bowlski's brother label in Massachusetts. 25. Paradox, circa 1980-1984ish. Rock band formed at Saint Mary's High School in Lynn Massachusetts. Name inspired by spelling word from english class and a fellow classmate who was in a band called Paladin. 26. "Paradox", Formed in 1984 in Grand-Mere, Quebec, the three piece Paradox (Sylvain Cossette, Houle, Lavigne) played mostly Beatles, U2, Frankie Goes To Hollywood, and Tears For Fears covers and gradually integrated original material. In 1986 they were discovered by manager Paul Levesque. In 1988 Paradox recieved a FACTOR grant to produce demos which, in turn, attracted MCA Records in the US. At this point Sylvain's brother Francois joined the act. Their 1989 self-titled debut was produced by Pierre Bazinet (Luba, Sass Jordan) and featured co-writing credits by Jordan herself. Record execs flew into Toronto from all over the country to catch this promising new act live at an MCA showcase. Their two albums of Synth-rock, landed them opening slots for some pretty prominent Canadian bands, but they failed to make a mark outside of their province of Quebec. 27) Not your average rapper, paradox has something to tell you and plenty vocabulary to do it. From witty wordplay, braggadocio punchlines, and more straightforward jams to heartfelt storytelling, thought-provoking introspection, and serious listening music, his is hip hop with a purpose.